Originally published by Financial Independence Hub. Studies have clearly demonstrated that Canadians are not getting the financial help they need from professional financial planners. This is partially the result of a lack of understanding of how to identify a professional financial planner and of what they should expect of a financial planner and/or a financial plan. Today’s unregulated financial planning environment leaves many of us vulnerable and at risk of receiving advice from individuals who call themselves financial planners but who have not had to attain any qualifications specific to the financial planning practice and who are not held accountable to any oversight body related to the financial planning advice they offer. The term “financial planning” is too often used as a sales pitch to sell product and the title “financial planner” is used haphazardly throughout the industry. In fact, in today’s unregulated environment anyone in Canada, outside of Quebec, can call themselves a financial planner. In the absence of consumer protection through regulation, the two organizations that establish and maintain standards for the financial planning profession in Canada have for the first time come together to create a single, unified set of financial planning standards and definitions. The FP Canada) – a not-for-profit organization that develops, promotes and enforces professional standards in financial planning through Certified Financial Planner® certification, and the Institut québécois de planification financière (IQPF) – the only organization in Quebec authorized to grant financial planning diplomas and to establish rules concerning the ongoing professional development of professional financial planners, have joined forces in the creation of the Canadian Financial Planning Definitions, Standards & Competencies. While written for the financial planning industry and professionals, the publication offers all of us an absolute source of information on what a financial plan truly is, who a financial planner actually is, and what financial planning looks like in practice. It also defines the ethical and performance standards that you should expect from a professional financial planning relationship. Empirical evidence clearly demonstrates that when Canadians sit down across from a Certified Financial Plannerl® professional they have an opportunity to reap substantial financial and emotional well-being. The results of a three-year study, commissioned by FP Canada that involved close to 15,000 Canadians from all income, age and geographic regions in the country is quite telling. The study measured the perceived impact of financial planning on the emotional and financial well-being of Canadians. According to the Value of Financial Planning study findings, Canadians who engage in comprehensive financial planning report significantly higher levels of financial and emotional well-being than those who do no planning or only limited planning. They report being better prepared for unexpected financial emergencies and tough economic times and feel more on track to save and retire. Financial planning works. But you need to know that the person you are sitting across has the required competence, skills and ethical standards to get the job done right. 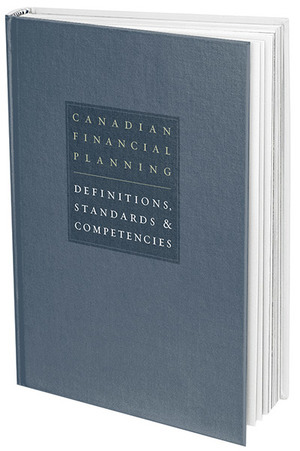 The release of the Canadian Financial Planning Definitions, Standards & Competencies is a good first step in deepening your understanding of what to expect from a financial plan, financial planner and financial planning. 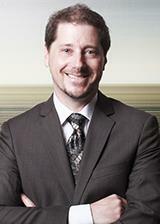 Then you can go out knowledgeably to source a qualified professional for the financial planning advice you deserve. To find out more about how you are protected as a consumer, read How to Lodge a Complaint and FP Canada Standards and Enforcement.